MasterTherm are manufacturers of a superior range of technologically advanced Ground Source and Air Source Heat Pumps. Over the last 20 years they have established themselves as market leaders, as confirmed by thousands of installations throughout the UK and across Europe. Attack began producing boilers in 1995 in Slovakia. Initially producing gas boilers, Attack soon moved into the Biomass boiler market due to the increased demand for renewable heating. Attack have a world wide market for their products, exporting to countries throughout the EU, Asia, Russia, USA and Canada. Akvaterm hot water storage vessels enable the most efficient heat storage and distribution. The Akvaterm range is suitable for use with many different heating sources, regardless of the heating system or fuel. Evoworld offer the full range of chip (25kW to 500kW) and pellet (14kW to 500kW) boilers with state of the art operation and control. 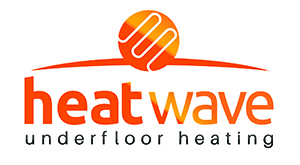 Heatwave Underfloor Heating combines the highest quality products sourced from European manufacturers. Heatwave’s design team will also ensure you have the best performing system and is designed to operate at maximum efficiency and comfort with your chosen heat source. Wilo offer a range of high-efficiency HVAC circulators with fixed or variable speeds for domestic or commercial applications. Powerful, easy maintenance and reliability are the characteristics you can expect from Wilo circulation pumps. If you value top-rate performance, Wilo's high-efficiency pumps with approved EEI index are the ones for you. Pre-insulated pipe specialist REHAU has developed a new pipe system for the rapidly growing district heating market in the UK. RAUVITHERM combines the key advantages of high flexibility with high thermal insulating properties. The most effective and efficient way to complete a plumbing installation. Available in carbon steel and copper press fittings.